Catching up with my weekend projects for Crafty October…on Saturday we had an At Home Movie Night and I made my own popcorn boxes using a template that I found online at Mel Stampz. I’m directing you to her blog so that if you would like to make your own designs, you can use her template. I’m going to provide you with some designs that I made, but all credit goes to Mel for the original template. 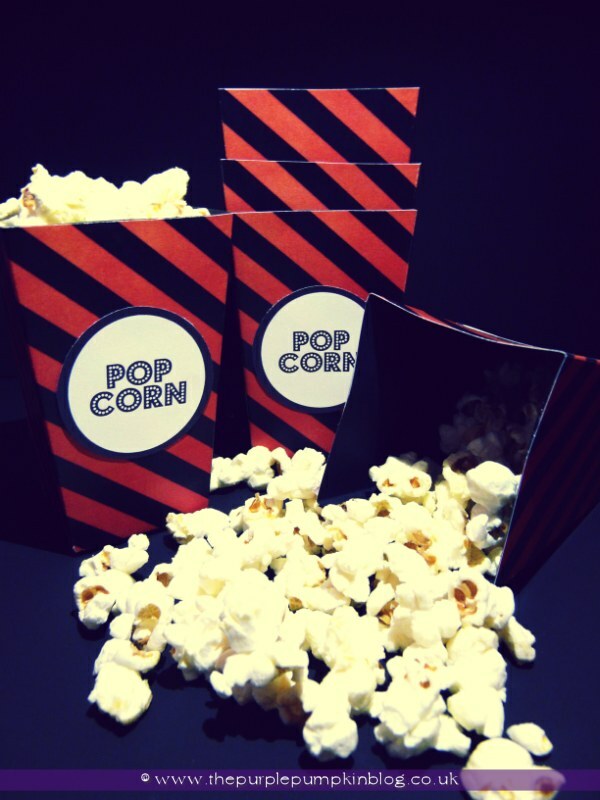 Of course, using these for our movie night meant that they got filled with popcorn, but you could use them for Halloween and fill them with any treats you like! I’ve also provided you with various different labels to go on the front of the boxes, which can be cut out with a 2″ circle punch. 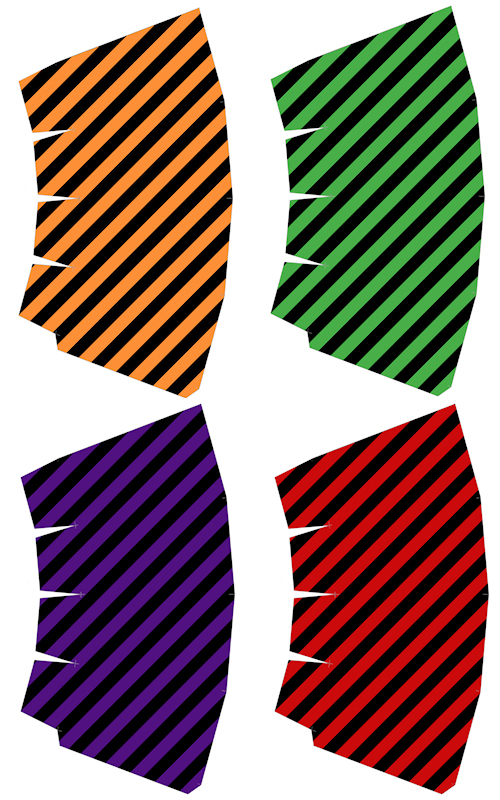 Just print off the template onto A4 cardstock (or onto paper and stick to card if you don’t have any that will go through a printer), cut out, and score the lines to help make folding easier. Add glue to the tab and stick securely, and tape the flaps at the bottom of the box. Fill with whatever (dry) goodies you like! I’ve done A4 sheets of labels for the Halloween snack boxes, and you can download the PDF files from my website too. 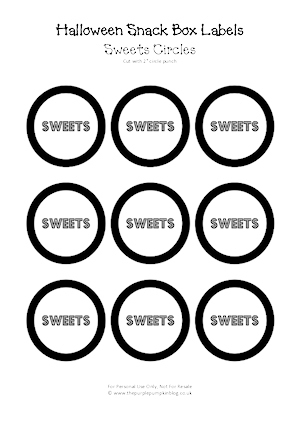 Each sheet has 9 labels which can be cut out with a 2″ circle puncher.